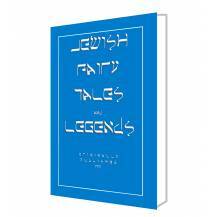 Jewish folklore overflows with vivid stories that both entertain and teach. 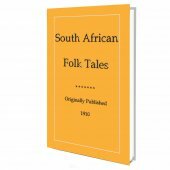 In 1919, Aunt Naomi (Gertrude Landa) wrote Jewish Fairy Tales and Legends, contains 27 fairy tales based on stories of the Jewish interpretations of the Bible. While some of the themes are familiar from contemporary fairy tales and folklore, other stories in this collection are infused with the inimitably Jewish struggle for survival and dignity; all are flavoured with a large helping of gentle humour. 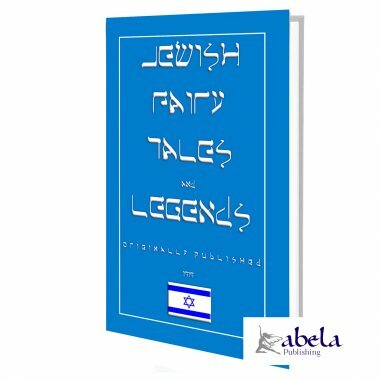 Jewish Fairy Tales and Legends tells of the boyish exploits of Abraham, Moses, and David, but also includes stories of higgledy-piggledy palaces, beggar kings, quarreling cats and dogs, waterbabes, bogey-men, magic red slippers, a talmudic Sinbad, Alexander the Great, and even the story of a certain Star Child. Aunt Naomi strove to create a collection of Jewish delights that boys and girls could add to their treasuries of general fairy-lore and childish romance. In this she succeeded Jewish Fairy Tales and Legends not only preserves a cultural history, but also is richly entertaining. 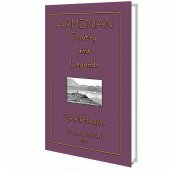 We invite you to curl up with this unique sliver of Jewish folklore not seen in print for over ninety years; immerse yourself in the tales and fables of yesteryear. Once upon a time there lived a man of learning and wealth who had an only son, named Hanina. To this son, who was grown up and married, he sent a messenger asking that he should immediately come to his father. Hanina obeyed, and found both his father and mother lying ill.
"Know, my son," said the old man, "we are about to die. Grieve not, for it has been so ordained. We have been companions through life, and we are to be privileged to leave this world together. You will mourn for us the customary seven days. They will end on the eve of the festival of the Passover. On that day go forth into the market place and purchase the first thing offered to thee, no matter what it is, or what the cost that may be demanded. It will in due course bring thee good fortune. Hearken unto my words, my son, and all will be well." Hanina promised obedience to this strange injunction of his father, and events fell out in accordance with the old man's prediction. The aged couple died on the same day, were buried together and after the week of mourning, on the day preceding the Passover festival, Hanina made his way to the market place wondering what adventure was in store for him. He had scarcely entered the market place, where all manner of wares were displayed, when an old man approached him, carrying a silver casket of curious design. "Purchase this, my son," he said, "and it will bring thee good fortune." "What does it contain?" asked Hanina. "That I may not inform thee," was the reply. "Indeed I cannot, for I know not. Only the purchaser can open it at the feast which begins the Passover." Naturally, Hanina was impressed by these words. Matters were shaping just as his father foretold. "What is the price?" he asked. That was an enormous sum, nearly the whole that he possessed, but Hanina, remembering his vow, paid the money and took the casket home. It was placed upon the table that night when the Passover festival began. On being opened it was found to contain a smaller casket. This was opened and out sprang a frog. Hanina's wife was sorely disappointed, but she gave food to the frog which devoured everything greedily. So much did the creature eat that when the Passover had ended, in eight days it had grown to an enormous size. Hanina built a cabinet for his strange possession, but it continued to grow and soon required a special shed. Hanina was seriously puzzled, for the frog ate so ravenously that he and his wife had little food for themselves. But they made no complaint, although their hardships increased daily. They were compelled to dispose of almost everything they possessed to keep the frog supplied with food, and at last they were left in a state of abject poverty. Then only did the courage of Hanina's wife give way and she began to cry. To her astonishment, the frog, which was now bigger than a man, spoke to her. "Listen to me, wife of the faithful Hanina," it said. "Ye have treated me well. Therefore, ask of me what ye will, and I shall carry out your wishes." "Give us food," sobbed the woman. "It is there," said the frog, and at that very moment there was a knock at the door and a huge basket of food was delivered. Hanina had not yet spoken, and the frog asked him to name his desire. "A frog that speaks and performs wonders must be wise and learned," said Hanina. "I wish that thou shouldst teach me the lore of men."  The frog agreed, and his method of teaching was exceedingly strange. He wrote out the Law and the seventy known languages on strips of paper. These he ordered Hanina to swallow. Hanina did so and became acquainted with everything, even the language of the beasts and the birds. All men regarded him as the most learned sage of his time. One day the frog spoke again. "The day has arrived," he said, "when I must repay you for all the kindness you have shown me. Your reward shall be great. Come with me to the woods and you shall see marvels performed." "Come to me all ye inhabitants of the trees, the caves and streams, and do my bidding. Bring precious stones from the depths of the earth and roots and herbs." Then began the queerest procession. Hundreds upon hundreds of birds came twittering through the trees; thousands upon thousands of insects came crawling from holes in the ground; and all the animals in the woods, from the tiniest to the monsters, came in answer to the call of the frog. Each group brought some gift and laid it at the feet of Hanina and his wife who stood in some alarm. Soon a great pile of precious stones and herbs was heaped before them. "All these belong to you," said the frog, pointing to the jewels. "Of equal worth are the herbs and the roots with which ye can cure all diseases. Because ye obeyed the wishes of the dying and did not question me, ye are now rewarded." Hanina and his wife thanked the frog and then the former said: "May we not know who thou art?" "Yes," replied the frog. "I am the fairy son of Adam, gifted with the power of assuming any form. Farewell." With these words, the frog began to grow smaller and smaller until it was the size of an ordinary frog. Then it hopped into a stream and disappeared and all the denizens of the woods returned to their haunts. Hanina and his wife made their way home with their treasures. They became famous for their wealth, their wisdom and their charity, and lived in happiness with all peoples for many, many years.